Today’s lesson in my series “Who Owns the Land? Mapping Out the Future of Water,” is #6, SBG Farms Incorporated. SBG Farms owns 8,569 acres of land in the EAA according to the TCRPC map. 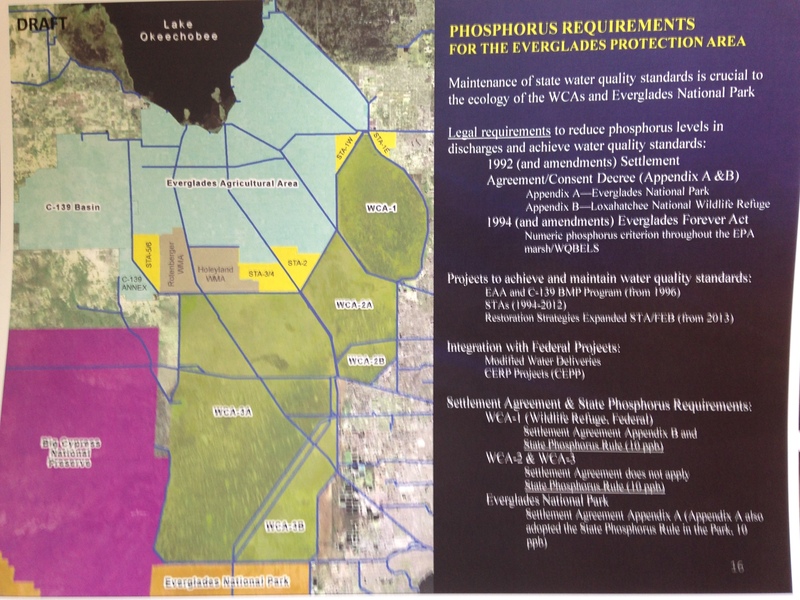 Yes that makes sense…to not have Super Blue Green algae in the St Lucie River/Indian River Lagoon we all must be Saved By Grace…. So who is SBG Farms? So above I have colored in the #6 parcels in the same purple crayon as #1 (USSC) and outlined in green marker so there is a visual difference. Senate Presidient Joe Negron’s proposed land acquisition map for water storage –2016/2017 legislative session. After last Thursday’s WRAC meeting at the South Florida Water Management District, I left somewhat miffed. These meetings are difficult to follow, and almost surreal at times. On Thursday, this was especially true with “paid” protesters yelling outside against the option land purchase, and afterwards the group’s slick sun-glassed/suit-wearing organizer coming inside to pat one of the WRAC members on the back. When I got home I consulted Dr Gary Goforth. I have interpreted and put into laymen terms what he wrote to me below. It shows that the numbers change depending on what years one is talking about, and over how long a period of time. 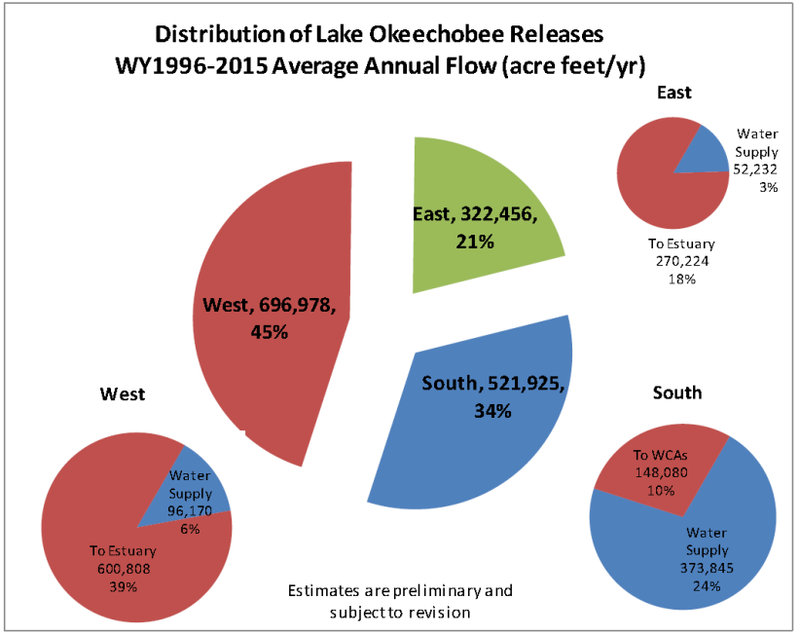 The chart below shows in acre feet, the “distribution of Lake Okeechobee releases from water years 1996-2015.” “20 years” of reference, gives a more accurate estimate of the long-term average of annual values than a shorter time period. 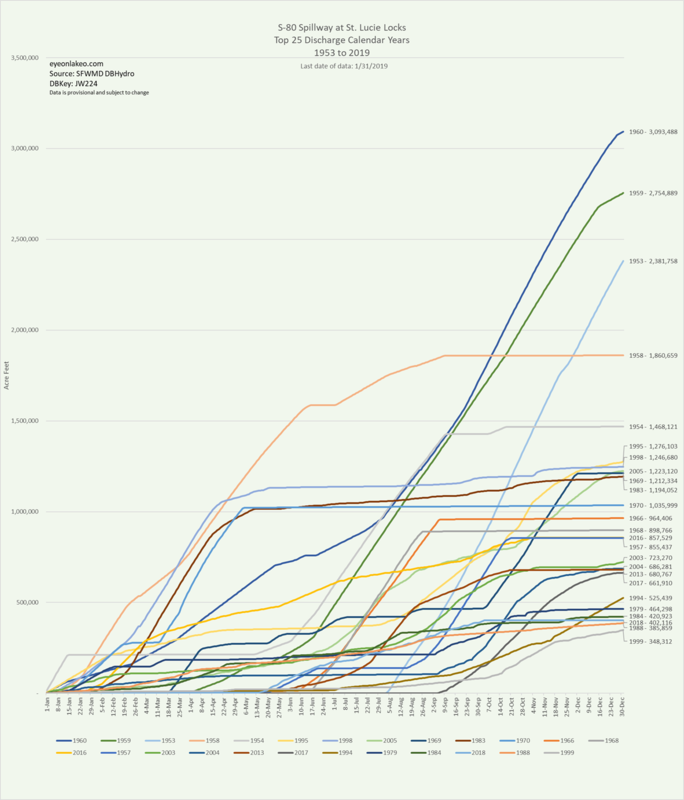 Of course every year annual flows vary. 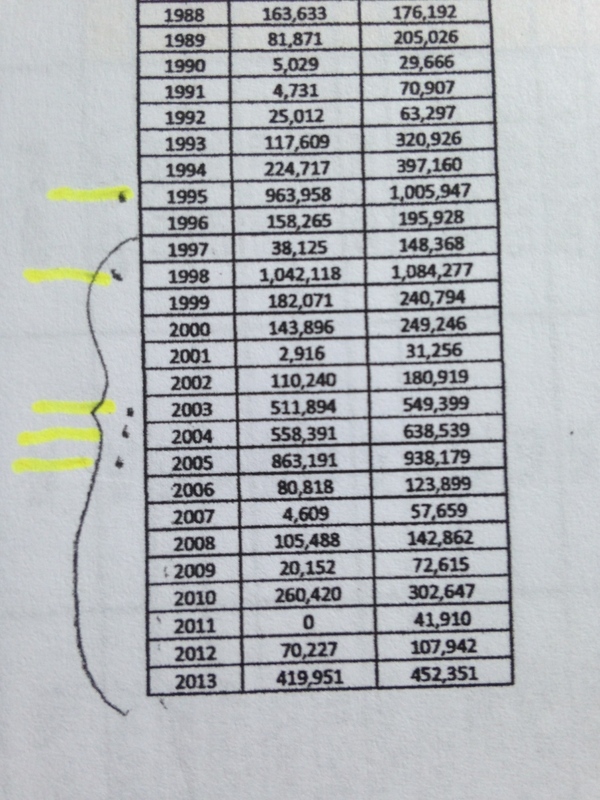 For years 1996-2015 the average number of acre feet to the SLR/IRL is 270, 224. This chart, taken from the ACOE and SFWMD and shown here in a slide presentation by Mark Perry of Florida Oceanographic, shows a 10 year period from 1996-2005. The above chart is different as it shows a ten-year, not a twenty-year average, 1996-2005). Here the number, 442,000 looks more like Bubba’s 4.5 million acre feet. 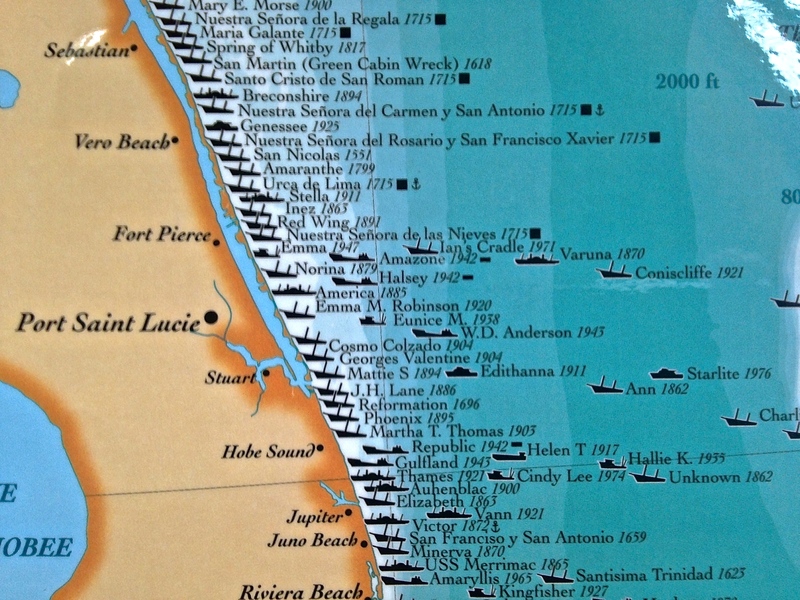 (I found this chart in Mark Perry’s presentation on his website at Florida Oceanographic. )This must be the chart Bubba Wade was referring to…? In any case, when quoting numbers, it is good to know which reference chart one is quoting. One one should also reference which chart one is using….This goes for me as well as for Mr Wade of U.S. Sugar…. 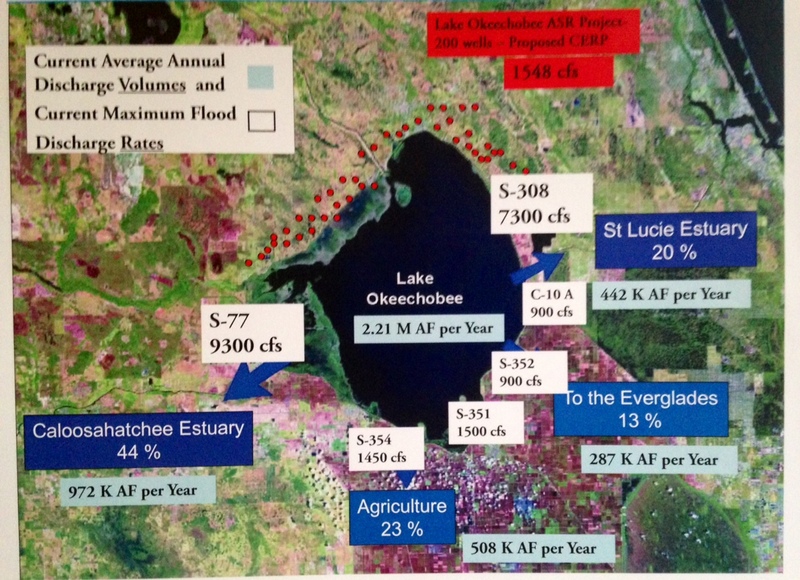 Heading of Dr Goforth’s chart showing estimated releases from Lake O to SLR from 1931-2013. A section of Dr Goforth’s chart 1988-2013. Years 1988-2013 showing acre feet flows from Lake O to SRL. 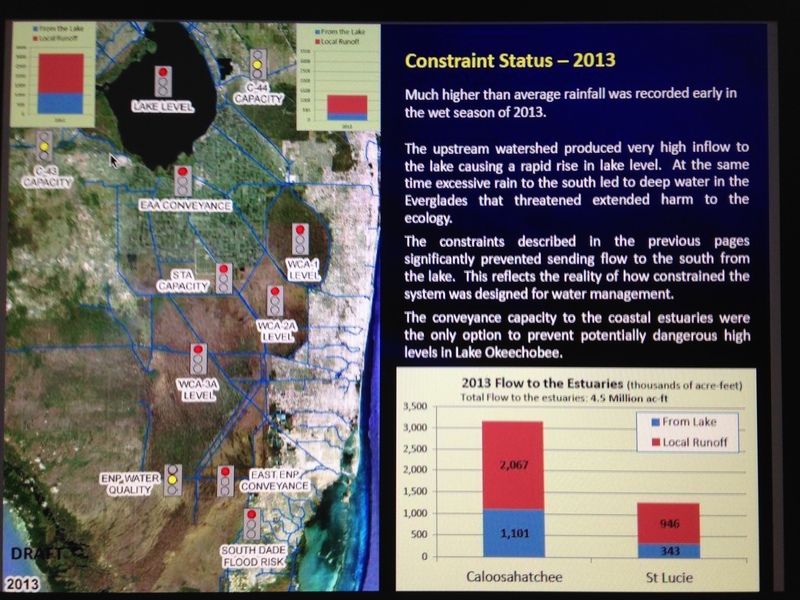 Lake Okeechobee water/conversion sheet, Everglades Coalition break out session, 2015. 4-7-15: This is THE source where the 4.5 million acre feet comes from. 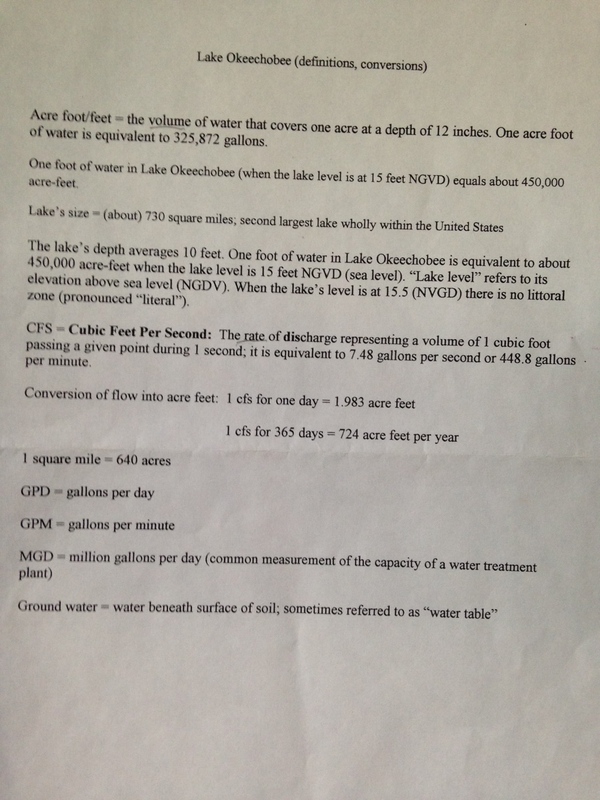 (Jeff Kivett’s SFWMD constraints doc.) 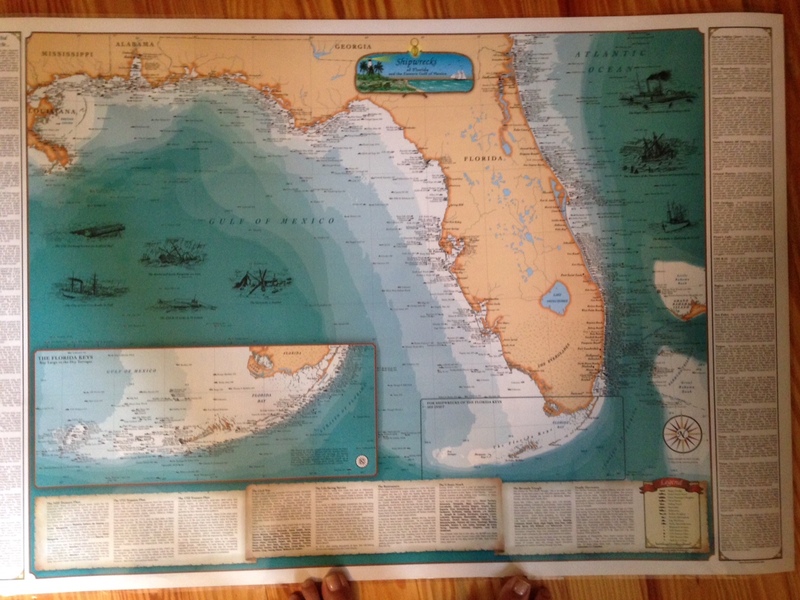 Thank you to Christine Stapleton of the Palm Beach Post for sharing when I asked where she got her sources for her article referred to in comments in this blog post. THE PROBLEM with the slide is that this is referring to ALL WATER into the estuaries: “local runoff” and Lake Okeechobee water. 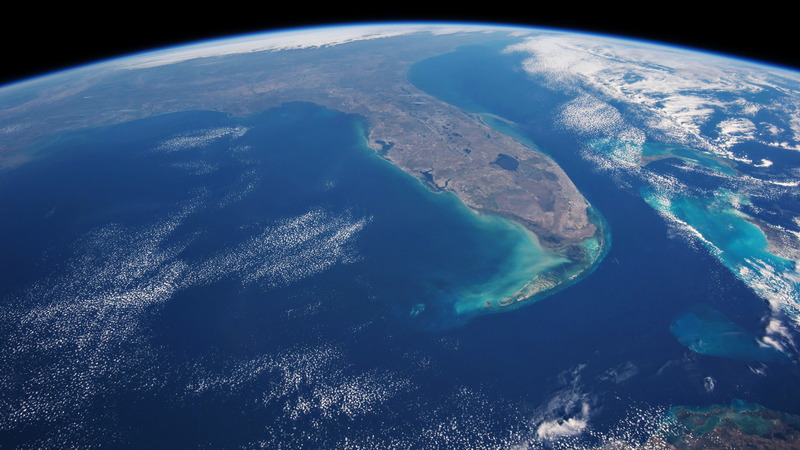 This conversation, this blog post, the land purchase south of the lake, is not about ALL WATER/”LOCAL” runoff water—it is about Lake Okeechobee water and how the ACOE and SFWMD make us take this water that IS NOT OURS. 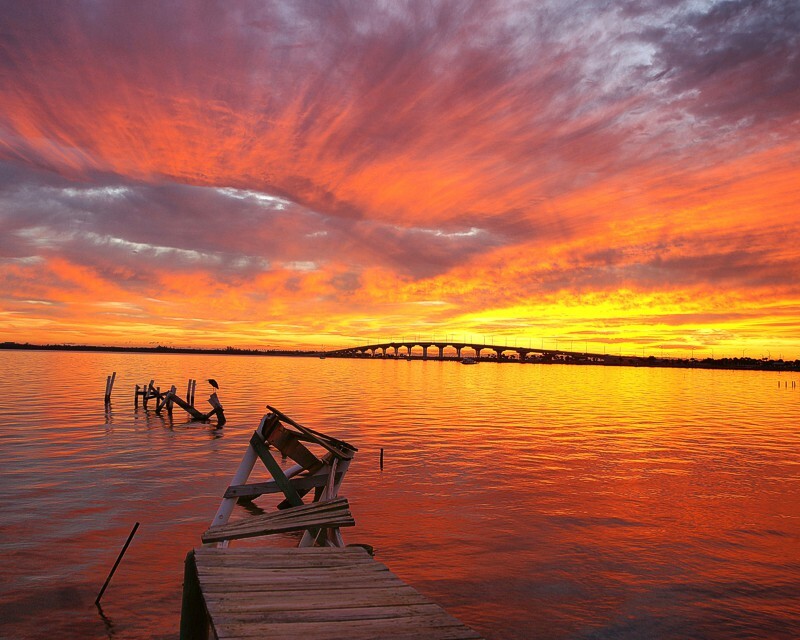 The 4.5 M number mentioned by Mr Wade or Ms Stapleton makes it sound like it is not possible to “fix” lake O, or to buy enough land that would help the estuaries or hold clean, and convey water,. This is untrue. It is “fixable” at 1.5 million acre feet or even twice that much. If nothing else the issue of lake O being the toxic nail in our estuaries could be half way alleviated.